Background/Info: The brand-new Hots label moves on with a second production from the German dark-ambient project B° Tong. Chris Sigdell now explores a concept dealing with the impact of extreme emotions on the human mind. This new work by B° Tong has again been released on vinyl format. 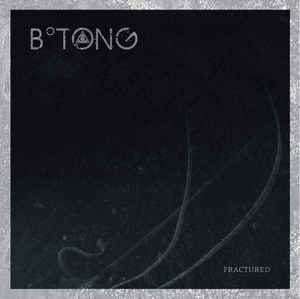 Content: B° Tong remains faithful to its familiar influences and sound elements. The tracks are mixing industrial sounds, obscure atmospheres and pure experimentalism featuring field recordings. The work sounds more improvised than other B° Tong releases, but you’ll recognize the sonic label of Chris Sigdell. + + + : Both albums released on Hots are quite comparable and yet different. “Fractured” sounds more diversified and carried by numerous sound treatments. The ambient side of the work remains pretty intriguing, perfectly transposing the original concept of this work into a particular sonic experience. “Eternus” is a brilliant and spooky-like composition featuring great industrial sound aspects. 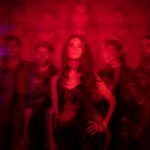 – – – : Just as the previous album of B° Tong released on Hots “Fractured” also has this experimental approach, which isn’t accessible for a wider audience. This is music conceived for experts in this kind of music. 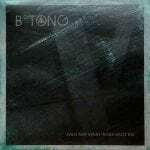 Conclusion: What I like with B° Tong is the global different approach in sound and composition. It’s all based on familiar elements and yet it has something different. “Fractured” is the perfect match between dark-ambient, soundscape, industrial sounds and experimentalism. Best songs: “Eternus”, “Abandon They Soul To Sheol”.